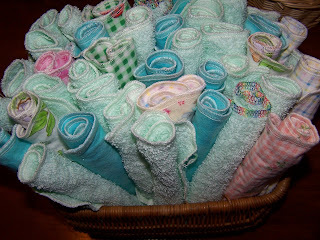 Bouncing Buttons crafts making it simple: baby sewing wet bags and cloth wipes. 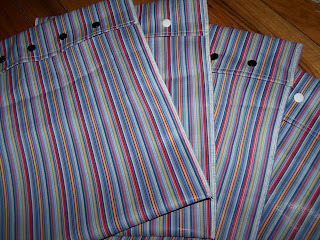 Wet bags for dirty diapers when we are away from home. I didn't think this pul would make a baby looking diapers so I used it up making some nice size wet bags. I can't imagine needing 4 of them but I guess having more than I need is better than not enough. cloth wipes. I guess you can see I went crazy making them. I have a lot more than this made up but they don't fit in the basket. It was so easy to cut and sew them and watch my DD in the little pool at the same time. I guess I didn't ever think to look at how many I made. Making them all helped me learn how to use my serger. I think I have close to 100 baby wipes now sewn up. I will probably even make more up because I like having a way to use up fabric scraps.